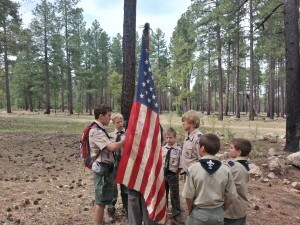 BSA Troop 439 » Join Our Volunteers! Troop 439 is able to run one of the best scouting programs in the Valley due to volunteer parents and other relatives all pitching in for the benefit of the boys. More participation means safer outings, more opportunities for the scouts and a lighter load on everyone’s shoulders. Not sure how to get involved or what exactly is going on? That’s OK, we’ve all been there. The first step is to take the free, online Youth Protection Training. This will cover concepts such as “Two Deep Leadership” and is required for adults before participating in activities. Then, just come to one of the meetings and let us know that you are interested. ASM – Assistant Scout Masters, the “guys in the brown shirts” offer guidance to scouts, go on outings and help the boys complete requirements as they work through the scouting program. There is both online and in-person training available for this position. Committee Member – The “behind the scenes” group who help with planning, financing and all the other activities necessary for the troop to run. Committee Members also make up the Board of Review teams for the Scout’s rank advancement. There is both online and in-person training available for this position. Merit Badge Councilor – There are currently 137 different merit badges available for the boy’s to earn. These explore everything from wilderness skills to life skills and different career fields. Scouting has already created the workbooks and pamphlets for each merit badge. The councilors just need to bring their hands-on knowledge and passion that bring the material to life. “But I’m not Bear Grylls or an expert on how Scouting works.” Thankfully, no one has those expectations. We’ve put together a Getting Started Guide that covers many of the basics, but being involved is much more important that being an expert. All of our leaders ask each other questions and learn as we go. No one can attend every single event, meeting and activity. But, by everyone pitching in how they can, when they are able, the program works well. Scouting is all about developing “big goals” in the boys like character, citizenship and fitness. This is accomplished through “little goals” such as earning a merit badge, going off to summer camp for the first time or advancing in rank. No matter how you are able to volunteer, the goal of all leaders is to support the scouts as they take on these responsibilities and learn through both their failures and successes. We look forward to having you as part of our larger Scouting family.